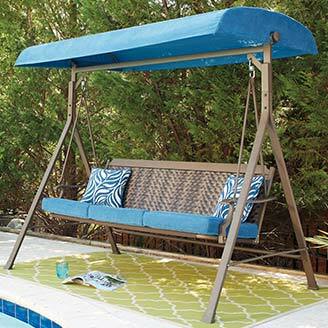 When it comes to relaxing on your own or hosting wonderful summer parties on your porch, deck, or patio, including poolside, you can’t beat the durability and low prices of fine outdoor furniture from Roses! We appreciate the wonderful custom of porch sitting as well as family barbecues and other outdoor fun at your home. 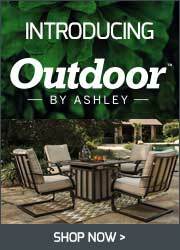 That’s why in our convenient online catalog, you can always choose from a staggering assortment of outdoor seating, dining sets, outdoor umbrellas, fire pits, and heaters. Below are just two examples of how we make outdoor gatherings at home extra special. Whether your gathering is porchbound or poolside, we have the sturdy yet smart outdoor seating options to make your home the envy of the neighborhood. 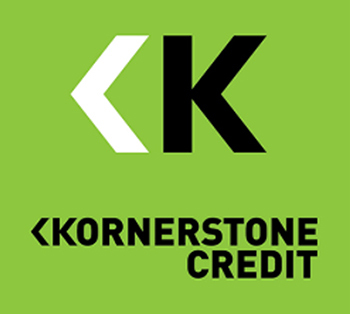 Choose from wicker-look chairs and sofas including sectionals, swivel chairs, bar stools, benches popular with the kids, and a perennial poolside sunbathing favorite, one of our durable cast-aluminum chaise longues with weather- and sun-resistant cushioning. Need a respite from the relentless midsummer sun? One of our giant cantilever umbrellas over your chairs gives you instant pavilion-like shade. And when there’s a slight nip in the air indicating the change of season, you need not stop enjoying your fine outdoor furniture. 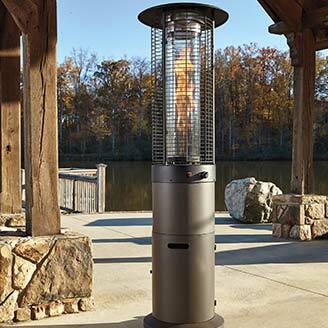 Choose from our variety of fire pit chat sets and outdoor heaters to keep your deck or patio a comfortable as well as beautiful venue for your family and friends to gather. Our gas- or propane-fueled fire pits are easy and safe to operate, turning on at the simple touch of a button. These babies don’t just offer you warmth but make a great conversation piece as you enjoy drinks well into the evening. At Roses, we will show you how easy furnishing your home for outdoor rest and entertainment truly is! 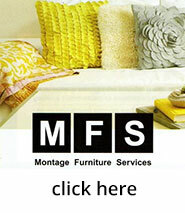 Browse our Rocky Mount, NC store’s ample online catalog to get started. Remember, when you shop at Roses, our warehouse-low prices aren’t a gimmick but an everyday, bonafide offer.